Monterey Motorsport Park will include full perimeter fencing with gated entry for 24×7 controlled access to the site. 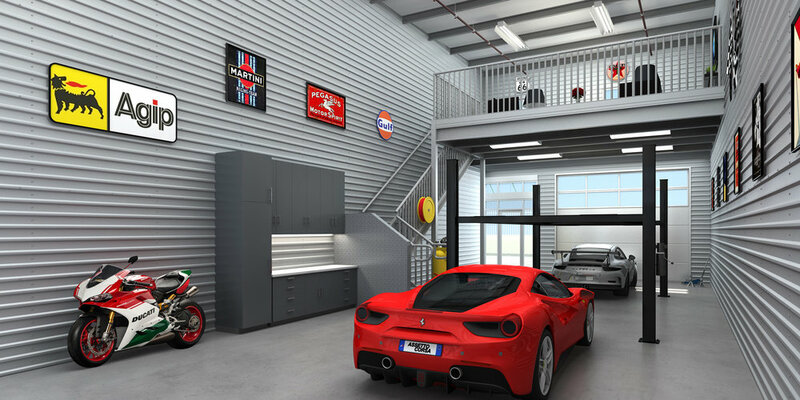 There will abundant lighting, live video in common areas and alarms in the individual units to offer additional safeguards for valuable car collections and other high-value assets stored in your garage-condo. Monterey Motorsport Park is located along Highway 68, adjacent to the Monterey Regional Airport. This will make it convenient for auto enthusiasts and collectors who often visit Monterey to enjoy the racing at Mazda Raceway Laguna Seca, which is literally minutes away, or take part in Monterey Car Week or the many showcase events and auctions held locally. Don’t be late to the starting line. Although construction won’t begin until 2018 with occupancy expected in early 2019, reservations for units are being accepted now. And as a successful, savvy businessperson or investor, you certainly appreciate the value of getting in on a deal early. Purchasing now during our preconstruction period not only ensures you the best selection and your preferred location, but it also affords you the greatest flexibility in arranging for any special modifications or customization that you might wish to do — to create a truly remarkable space for you and your collection. Remember, because these are condos you’ll buy, not lease, you can lock in your occupancy costs in a market with rapidly rising rents. Plus, you’ll get all of the potential benefits of commercial property ownership such as expected appreciation, as well as tax write-offs if you operate a business in your unit. Plus, SBA financing of up to 90% of your purchase at attractive interest rates will be available.